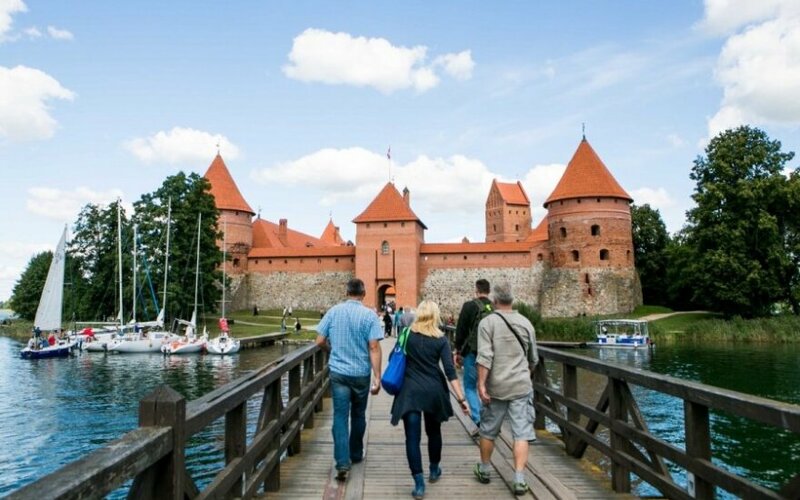 Last year, almost each Lithuanian at least once was touring in Lithuania - during 2014 a total of 2.6 million travels of Lithuanians in the country was counted, by 2.3 percent more than in 2013, the State Tourism Department (VTD) said. Expenditures of local Lithuanians last year increased by 7.9 percent (up to EUR 138.1 million), and average daily expenditures increased by 9.5 percent and reached nearly EUR 20. This, according to Jurgita Kazlauskiene, head of the VTD, signals about the growth of local tourism and the general economic recovery. Most Lithuanians, as many as 40 percent or 1.1 million, last year visited relatives and friends. Another 31 percent (821,000) relaxed and had a vacation, 13 percent (333,000) travelled across the country for business and professional purposes, 8 percent (200,000) visited their own accommodation for relaxation purposes, 3 percent (70,000) travelled for SPA and recreational purposes, 1 percent (25,500.) for shopping purposes. Habits of travelling abroad of Lithuanians last year changed slightly. 1.79 million of Lithuanians travelled abroad (by 1.4 percent more than in 2013), but Lithuanians abroad were saving their money and spent EUR 782 million or by 2.1 percent less than in 2013. The number of personal travels to foreign countries remained almost unchanged and it accounts for 80 percent of all travels, while the remaining 20 percent are business travels abroad (up by 7.2 percent). Comparing the business and personal travel expenditures structurally, the trend becomes clear: the expenditures of personal travels last year decreased by 3.8 percent, while business travel expenditures went up by 4 percent. In 2014, majority of Lithuanians travelled to Latvia (13 percent), United Kingdom (11.5 percent), Belarus (10 percent), Poland (8 percent) and Germany (6.5 percent). From Lithuanians' top-10 travel directions the biggest increases were in travels to Egypt (+75 percent) and Norway (+24.1 percent), while the number of travels to Russia last year went down by 13 percent compared to 2013. 13 percent of all Lithuanians who travelled abroad used the services of travel agencies and organizers (in 2013 it was 11.5 percent). The price of organized travels of Lithuanians increased by 12.7 percent, and during the last two years (2012-2014) it increased by 32 percent. Foreign visitors spent less money in Lithuania - for organized travel to Lithuania they paid by 3.8 percent less than in 2013. 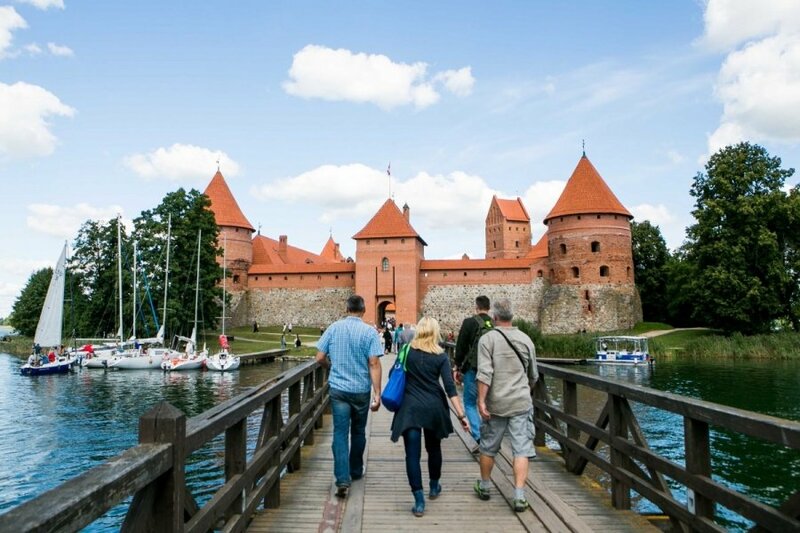 In total, the travel organizers and agencies serviced 237, 200 tourists from Lithuania (by 15.5 percent more than in 2013), and brought to Lithuania 437,100 tourists (by 8.1 percent less than in 2013).